I saw a comment somewhere today from a lady enquiring whether she should take her Flip-Pal scanner to Salt Lake City for use in The Family History Library. Someone else suggested that, for security, one would need to carry it around. That's not a problem at that Library as one is allowed to take bags into the building. However in some of the repositories you visit you can't take big bags into the research areas. This conversation got me thinking about conferences like Rootstech and AFFHO Congress and the essential stuff one needs to get one through a conference day. One of the things I try to do is wear trousers with deep pockets and a jacket or vest with more pockets. These pockets relieve the strain on the bag I carry around at conferences and, in repositories, allow me to take more bits and pieces in than I would otherwise be able to do. My camera and smartphone are reasonably safe in my deep trouser pockets. Additionally, if my hotel doesn't have a safe, I just carry a small amount of cash on me in a little purse and keep the rest with my passport in a moneybelt. 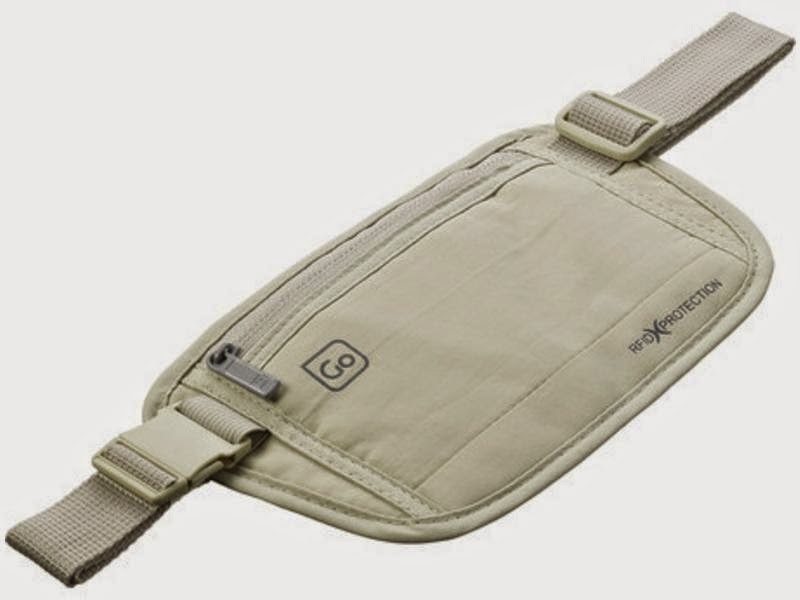 If you don't have a moneybelt it's a good idea to purchase one with a RFID pocket so nasty people can't skim your credit card details. While I am on the security bandwagon the handbags I travel with are Pacsafe antitheft bags, they are expensive but have lots of security. I find the Citysafe 200 is ideal for everyday use, it takes all the gear I need for a day out at a conference. They do look good Jill. I liked the purse too and need a new backpack. Where do you buy them? I went to order a few things and they only ship to US. The cost seems to vary widely for Australian Distributors! I tend to only use a secure backpack when I travel as I am always worried about a handbag from a security aspect However this one looks perfect for travel!